While most hills and mountains on Earth originate from tectonic motions or volcanism, Earth also has some examples of hills that originated from impacts of large meteorites, the predominant origin for hills and mountains on the Moon. 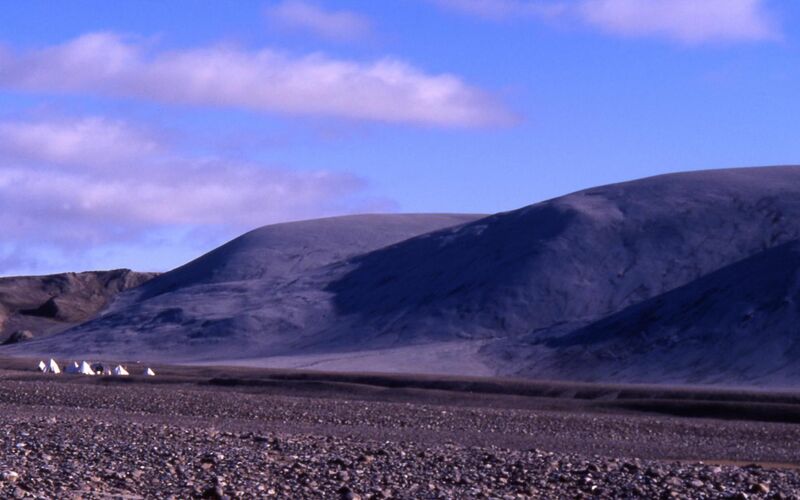 The grey hills in this image from Devon Island in arctic Canada are material ejected from an impact about 20 million years ago. The site is at 75 degrees north latitude. 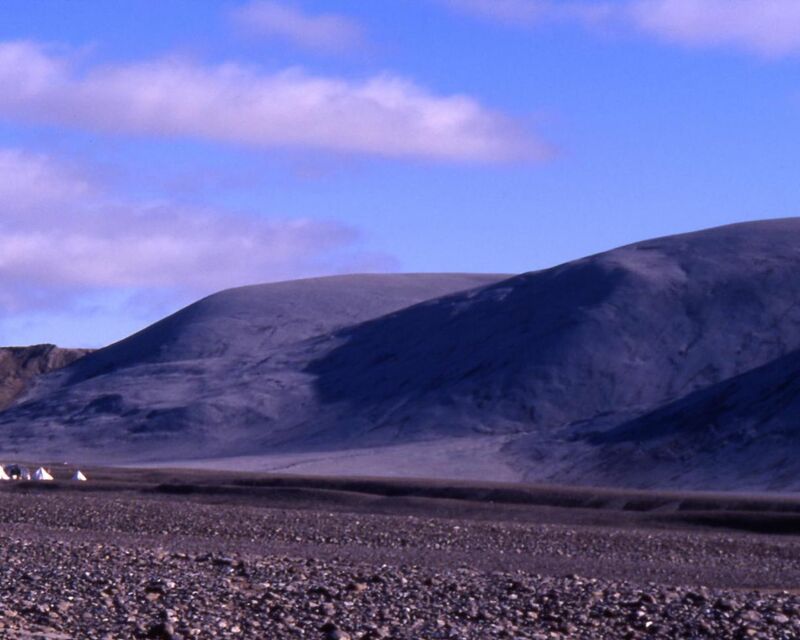 Researchers' tents at the left give a sense of scale. For related images, see PIA06010 and PIA06011.